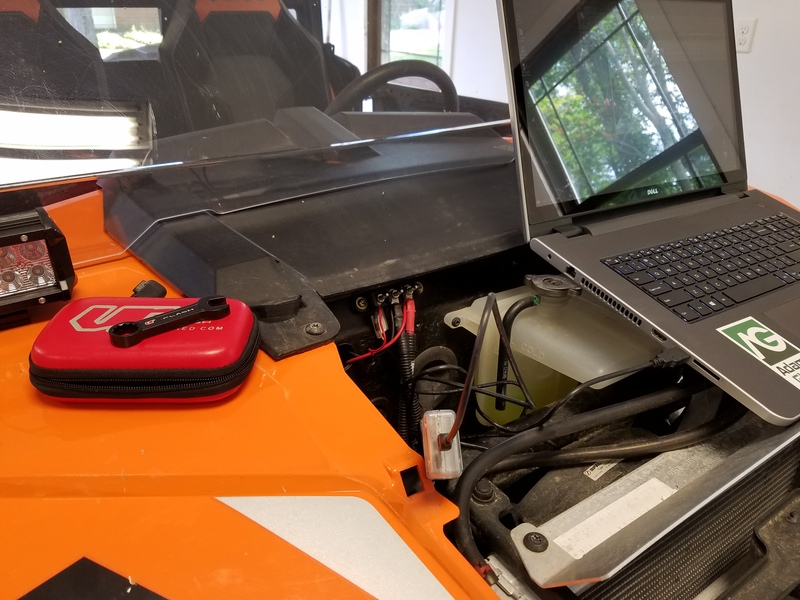 The Polaris RZR XP Turbo has been an important project to us here at VR Tuned. As a HUGE growing market, SXS tuning is a great way to free up more horsepower and performance. The Polaris RZR XP Turbo changed the game with its 925cc turbocharged engine making 144 horsepower. With an ECU flash, you can gain 25 horsepower which is quite a lot on this vehicle. 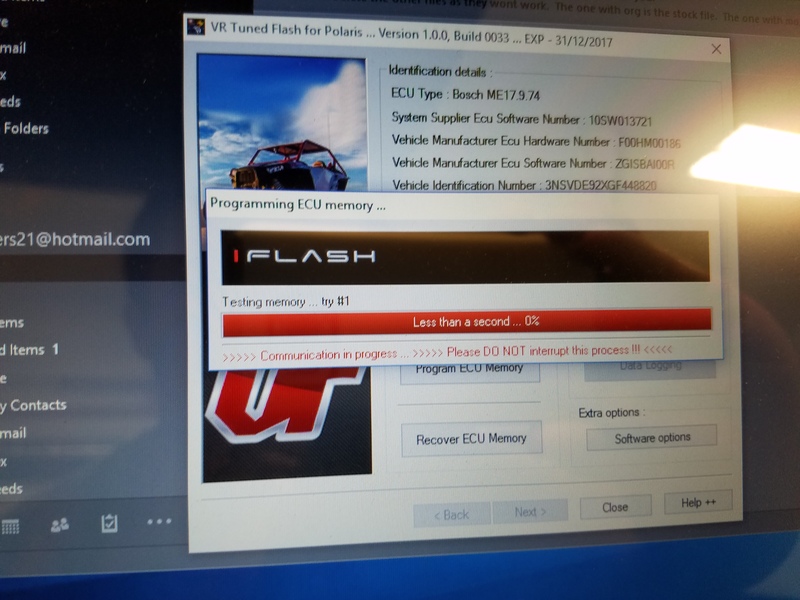 Most companies can only bench flash the ECU’s. 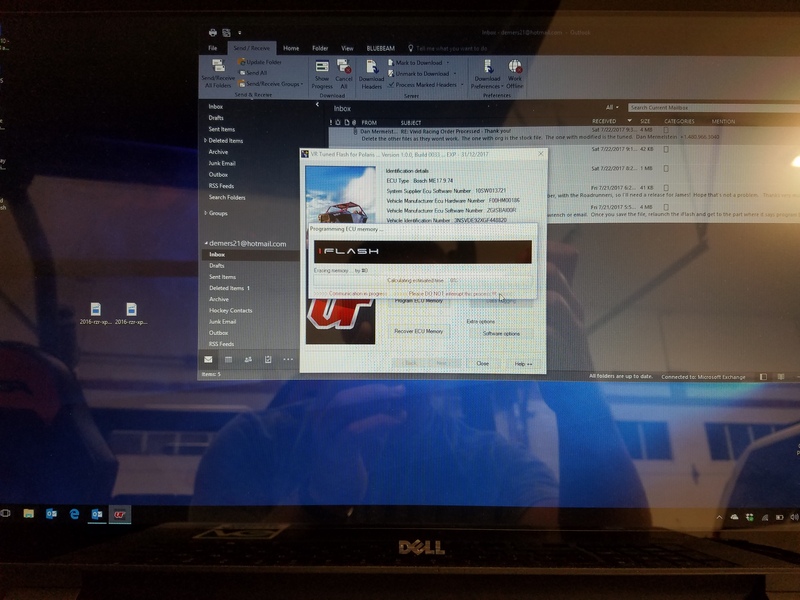 This requires the ECU to be removed from the vehicle, brought to a tuning center, have them open it up and risk damage, then flash it with electric probes. Some companies even “pot” the ECU (use epoxy) to cover up the boot pins permanently which affect your ability to use different tuners. This also is a sure fire way to have your warranty voided. You can read more about our 2016 XP Turbo Testing Here. 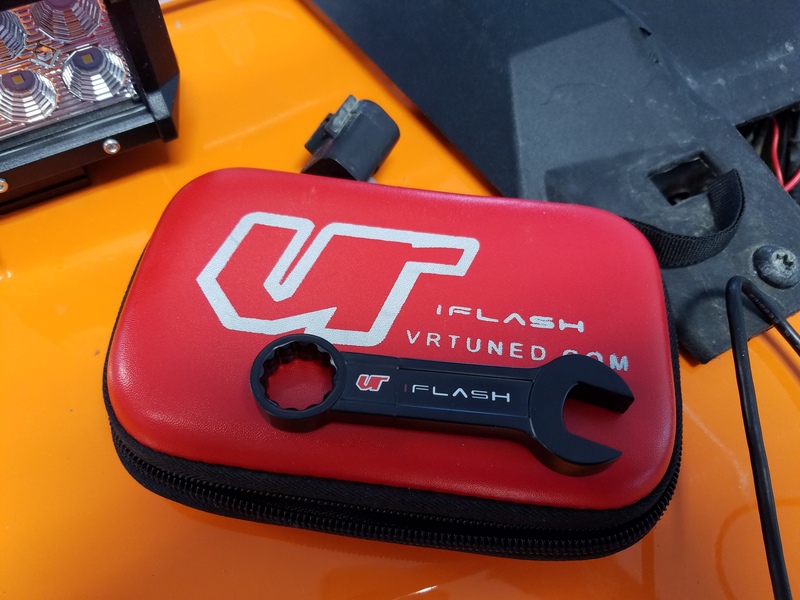 VR Tuned in cooperation with Frieling Racing have their new iFlash which allows you to program the ECU directly from the diagnostic port. 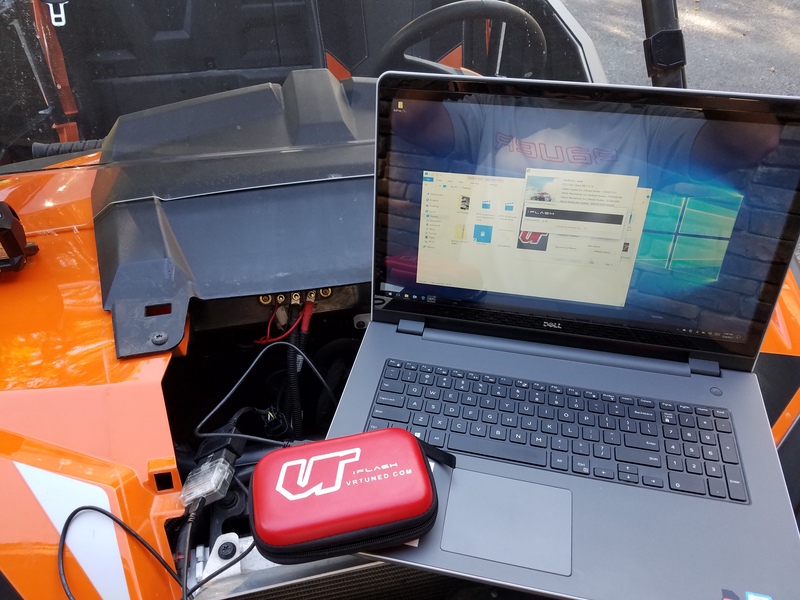 Utilizing a cable and your PC laptop, you can flash your ECU in the convenience of your garage, on the trail, shop, etc. 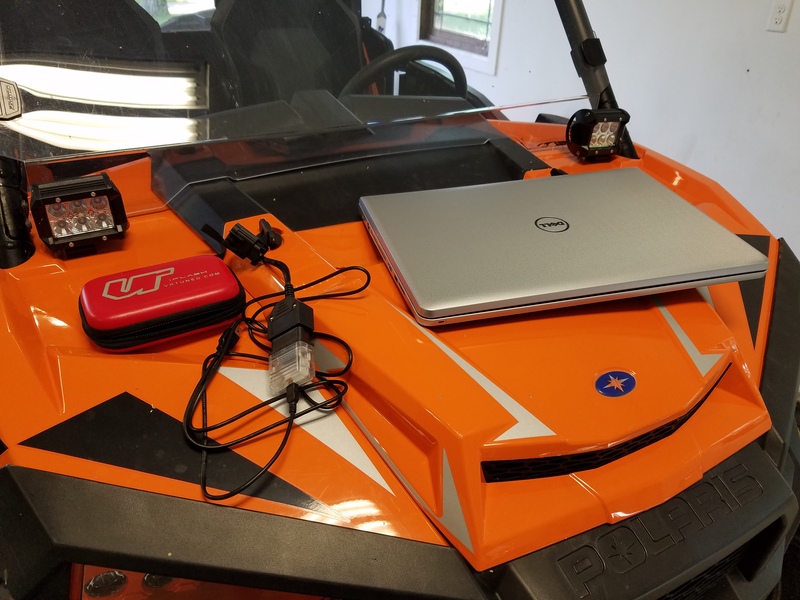 One of our customers, Chris, recently did his 2016 XP Turbo out of New York. He was very happy with the ease of use as well as performance. 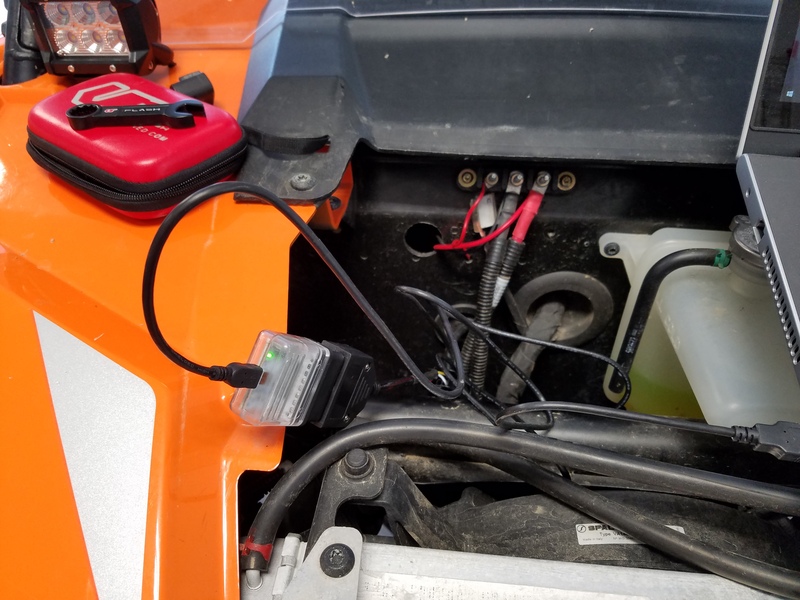 Interested in getting your Polaris XP Turbo or XP 1000 flashed? 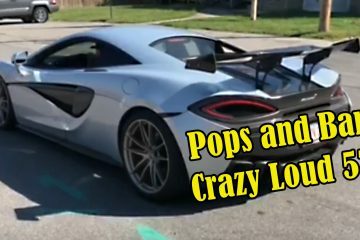 Shop all ECU Tuning Here.